« Remember when I regularly posted recipes? Bringing in the New Year with a Green Monstah! Happy 2012, everyone! I hope you had a safe and happy New Years. I kept things chill. I had dinner with a friend and then we dragged our butts to The Common. We attempted to watch the fireworks but had a meh view. But it was a good evening. I knew I didn’t want to start 2012 with a hang over- I wanted to be productive and start the year on a positive note- so we kept the drinks to a minimum. It was a perfect mix of celebratory and low key. Now that the new year is here, I’m sure we are all sick of seeing chocolates and sweets everywhere. I know that I am! My body started to revolt against all the junk food the week before Christmas. I just couldn’t take it anymore! Everywhere I went there was sugary confections and big bowls of comfort food. 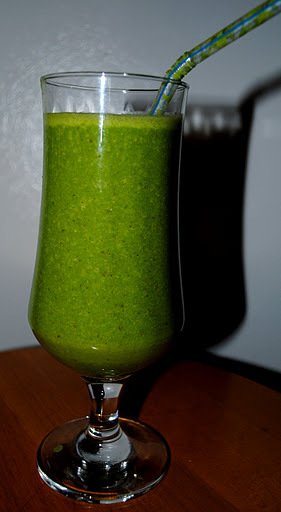 I need something green and healthy, which is why this Green Monster Smoothie (or Green Monstah Smoothie, as we Bostonians call it!) is perfect for your post-holiday, new years-resolution diets. 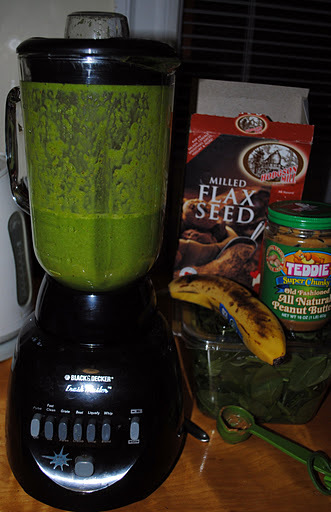 Add all ingredients to a blender in that order and blend until smooth. Consume and feel awesome! I’m not even exaggerating when I say that this smoothly will make you feel great and full of energy. The week of Christmas, when I was working at my retail job after a full 8+ hours at my regular job, I had about 15 minutes to myself from when I arrived home to when I had to leave for my second job. I would make this and drink it in the car. It gave me so much energy that it was actually a problem one night when I was working behind the cash register and didn’t have any customers. I was dancing around my co-worker, John, because I couldn’t stand still. He kept giving me weird looks. 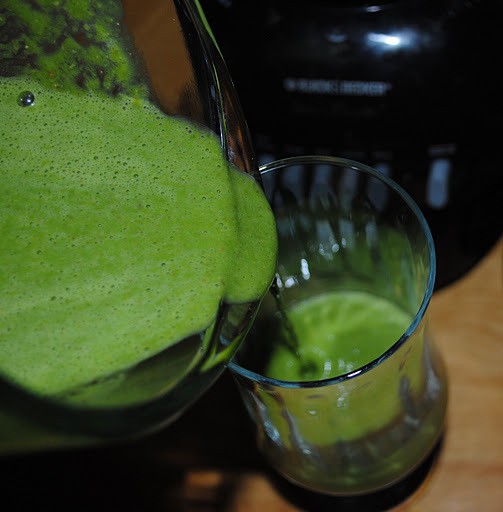 “It’s this awesome Green Monstah smoothie I made!! !” I said . “Did it have crack in it”, he asked. In fact, it does not! But it will help you shed that sluggish, junk food haze and help give you energy for all those New Years Resolutions. Yeah! 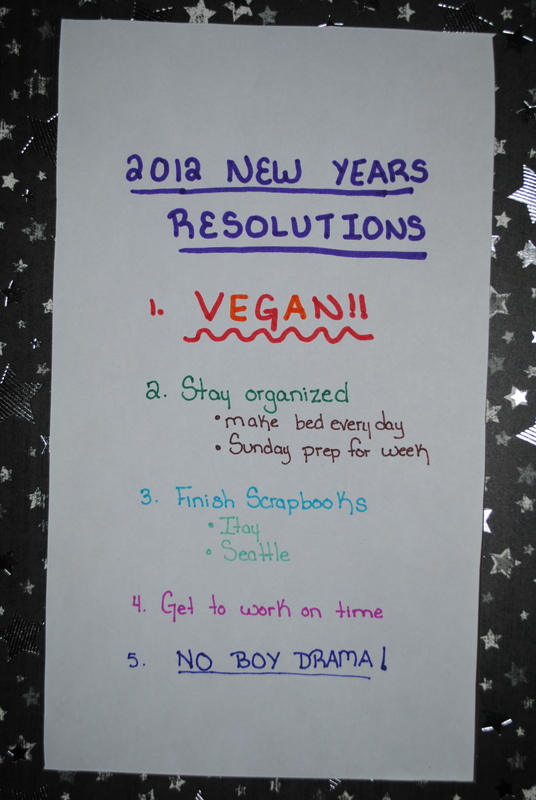 Speaking of resolutions, here are mine. I decided to put them on the back of my door so I can check in and see how I’m doing every once in a while. Do you like number 5? That one comes courtesy of my friend, Haley. We have a $10 bet riding on that one so I definitely have to keep it! lol!